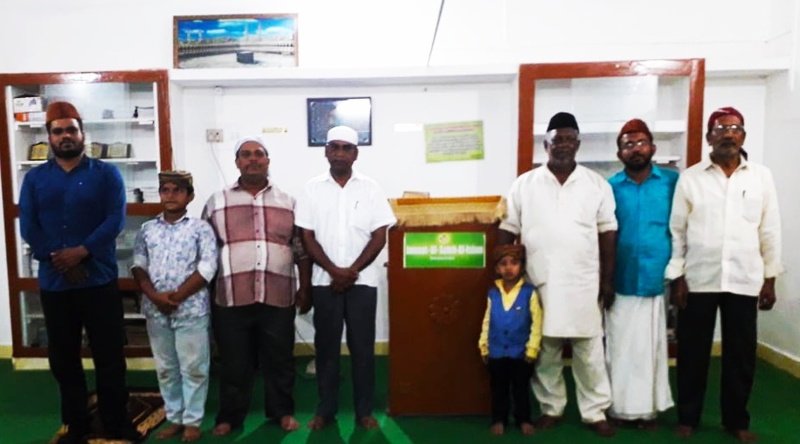 Jamaat Ul Sahih Al Islam, South Kerala (India) organized a One-Day Divinity Study Programme for the benefit of its members-men, women and children- at the historic Noor'ul Islam Masjid, Mathra on Saturday, 09 February 2019 ~ 04 Jamadi’ul Aakhir 1440 AH. Many members of the Jamaat from different places across the State- Palakkad, Kodungallur, Alappuzha, Karunagappally, Kaliyikkavila, etc.- reached at the Masjid ahead of the Programme so as to participate also in the Friday Jumu'ah Namaz as well, Alhamdulillah. 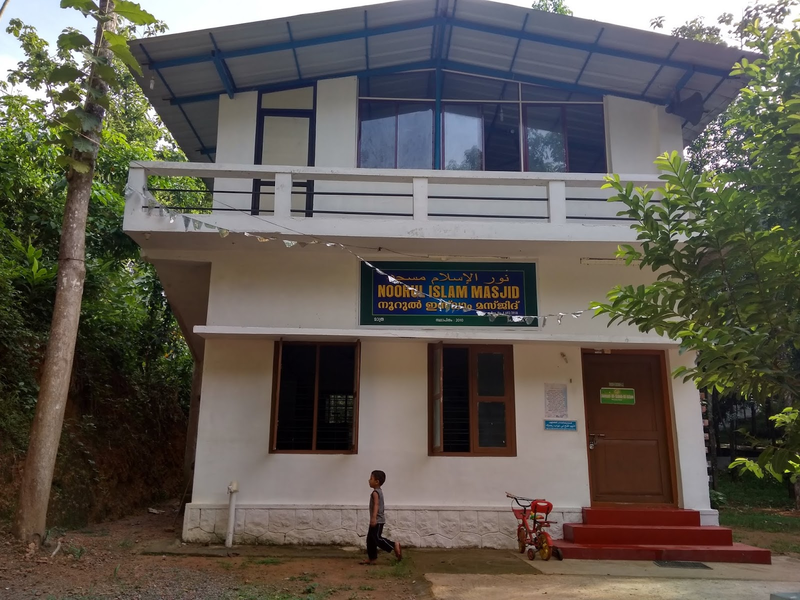 Brothers who participated in the programmes include Muhammad Sabir Saheb of Palakkad; PK Shamsudeen Saheb of Kodungallur; K. Saleem Saheb, and Na'ib Amir YK Hariz Saheb of Alappuzha; DA Zainul Abdeen Saheb of Karunagappally; Na'ib Amir/Jamaat Sadiq Ali Saheb; Zachariah Ibn Zain, Munir Ahmad Azim (Jr.), etc. 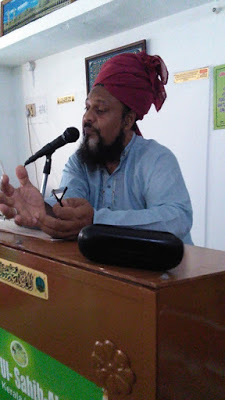 Mukarram Amir/Jamaat Janab Jamaluddin Raother Saheb led the study sessions. The Ta’lim/ Tarbiyyat meeting took place at the Masjid in three different sessions through the day: morning, afternoon and evening. In the morning and afternoon, parallel sessions took place for the men and the women. In the men’s section, the meetings were done in a way like an extended conversation where the ‘floor’ was open for raising points to every one. Maulvi Ismaeel Saheb of Mathra was also present on the occasion. In an age of doctrinal rigidity and sectarian feelings among the Muslims, it has become difficult to have a civilized dialogue among the co-religionists themselves. How the ‘big picture’ of Islam gets lost out due to such blurred visions and narrow readings of the Divine Will was highlighted. In such bewildering times, Mukarram Amir saheb suggested all members to study the Friday sermons and discourses of Hadhrat Khalifatullah (atba) on a regular basis to know Islamic teachings and to appreciate the straight and correct path ahead of us in our own individual and collective lives. 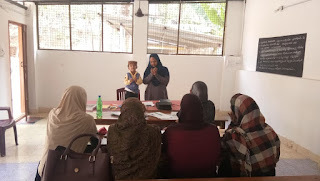 Siraj Makin, the women's collective of the Jamaat, also held its special sessions on the occasion. Senior member Razia Hariz Saheba, Na'ib Sadr Fauzia Jamal- Zain saheba, Rajeena Sadiq Ali saheba, Sofiya Beevi saheba, Mubeena Sabir saheba, Fa-e-zah Maryam Zain and Arshana Sabir participated actively in the various programmes: Tilawat-ul-Qur'an, Nazm recitation, speeches on Qur'an themes as well as topics from Ahadith, etc. Na'ib Sadr Fauzia Jamal saheba, who recently translated into Malayalam the Commentary on Surah An-Nur (originally written in English by Hazrat Ummul Mu'mineen International Sadr Saheba (Siraj Makin), shared parts of the forthcoming book at the meeting. The Malayalam translation of the Commentary is to be published by the Jamaat shortly, Insha-Allah. The key take-away from the Study Programme was the Special Address of Hadhrat Imam Muhyi-ud-Din Al Khalifatullah Munir Ahmad Azim Saheb (atba) of Mauritius on the importance of Salat (Prayer) and Zakat (Financial Sacrifice) in our individual and collective spiritual life, including community welfare and progress. In his discourse, Hadhrat Khalifatullah (atba) notes the foundational role of Salat in the shaping of our spiritual future: its intrinsic worth in being the "unique gateway" to the Divine Presence and its instrumental role in seeking the mighty help of the Divine in facilitating our challenging tasks. Like wise, Hazrat Khalifatullah (atba) points to the critical role of Zakat in community life. To meet the manifold expenses of the community in the larger cause of Islam, Hadhrat Saheb (atba) exhorts the believers to assume collective responsibility to contribute liberally to the cause of Allah. Today, for your Tarbiyyat/ Talim meeting, I would like to address you on the importance of Salat (prayer) & Financial Sacrifice. You should bear in mind that Salat (prayer) is not only a duty to Allah, but it is also that unique gateway which shall reassure for you true connection with Allah. The Quran mentions two Jannat (Paradises) on this earth: one is the earthly garden and the other is the taste of the Salat (spiritual garden). Therein is food for thought. There is a subtle relationship between these two worlds. This is why we must put so much emphasis on Salat (prayer); it is a question of life or death. This is an issue that is related to the future of Muslims and the next generation. We are in a new century and if we tread on it like people who do not put into practice the Salat (prayer), we put the future generation in jeopardy. The Salat (prayer) must be the hyphen that must unite these centuries. To do this gigantic work we have to convert those who do not perform Salat (prayer) into people who perform Salat (prayer) and then we have to fill their Salat (prayer) with Zikr-e-Ilaahi. The task to be done is whole (we have a lot to do), but we must do it wholeheartedly, for the sake of Allah alone, and we must pray as Allah the Exalted and His Prophet (pbuh) has taught us to pray, i.e. with humility and fervour and it is only then that God will facilitate our work. Duah has extraordinary strength. Sometimes we do not have enough time for our work and we ask Allah to give us time, because He is the Master of time and thus, suddenly we find that the work is done and we still have time (through duah). Weak people can benefit a lot from duahs. We only have to establish our relationship with Allah through duah and then we will go from success to success, on all levels. Salat (prayer) is a request to Allah. For God to spare him from all difficulties and evil deeds, man is in perpetual quest– keeps on waiting – to gain the pleasure of Allah and he cannot have it with shrewdness or intelligence; he only has it when God wants it. Many people believe that with their efforts they can get away from sin, but they succumb to it every time. Without the help of God we cannot get away from sin. If we want to wake up the world and show them a sign and an example of the Qiyamah and establish the truth of the Sahih-al-Islam with a clarity like the light of the sun and remove all darkness, we must wake up and perform Salat (prayer) and it is from then on that we shall witness that. And along with Salat (prayer), we need also sacrifice a lot for the sake of Allah. And among those sacrifices, there is also financial sacrifice. You shall notice that as a Messenger of Allah, Allah’s Khalifa, I keep reminding you about financial sacrifice. Financial Sacrifice is essential for the progress of a Jamaat. Even Allah in the Quran, mentions Zakat along with Salat, and thus gives Zakat all its importance in the life of a believer. Allah says in the Holy Quran: “Indeed, those who believe and do righteous deeds and establish prayer and give Zakah will have their reward with their Lord, and there will be no fear concerning them, nor will they grieve.” (Al-Baqara 2: 278). Ours, is a Divinely instituted Jamaat which for the time being is in a budding stage, and Allah has over and over again instructed me to instruct you – all my disciples– to do Financial Sacrifice. Bear in mind that by sacrificing your money and valuables in the way of Allah, you shall never lose. Allah says in the Holy Quran: “Those who spend their wealth [in the way of Allah] by night and by day, secretly and publicly - they will have their reward with their Lord. And no fear will there be concerning them, nor will they grieve.” (Al-Baqara 2: 275). Therefore, as true Muslims, all members of the Jamaat Ul Sahih Al Islam must never forget to pay their Zakat, as their obligations to Allah and His Deen (faith). Moreover, every other contribution is needed from you in this era of Divine Manifestation; your sacrifices are needed for the progress of our Jamaat, to build our Mosques, and to establish ourselves around the world by the grace of Allah. All money which is given in the path of Allah is never in vain, and Insha-Allah, be it in this life and the life to come, you shall see the results of these sacrifices – you shall taste the fruits of your sacrifices, with the pleasure of Allah shining over you. Insha-Allah. May Allah count you among such peoples who know the value of Salat and Zakat and all other financial sacrifices for the cause of Allah, and may you strive to make your destiny shine with the fragrance of Allah’s approval and mercy upon you. Insha-Allah, Ameen. The Sahih Al Islam Blog is a platform to share in an easily available format the sermons and writings of Hadhrat Munir Ahmad Azim Sahib (atba) of Mauritius, the Holy Founder of Jamaat Ul Sahih Al Islam International. Bestowed with sublime spiritual titles such as “Muhyi-ud-Din”, “Mujaddid” and “Khalifatullah”, Hadhrat Saheb (atba) is Divinely-ordained with the task of explaining the Noble Path by teaching the Divine Revelations (Holy Qur'an) and practical wisdom so as to spiritually purify the humans of our times, the 15th Century of Islam. Apart from being a depository record of the Jamaat events and social engagements of its members, the Blog also publishes a variety of other writings on issues of spiritual and social concern.